A do-it-yourself morning, a game of squash, a simple champagne cap, or cleaning agents… every day our eyes are exposed to many dangers. Although its curved shape protects the eye, it can also be the target of trauma. The front part remains exposed to aggression despite the blinking of the eyelids. A moment of inattention is enough for the eye to be injured. Whether it is a shock, a foreign body or a toxic product, the trauma of the eye is always to be taken seriously. A consultation at an emergency eye clinic is always necessary, since the pain is not always sufficient to assess the urgency. Chemical injury to the eye: Chemicals powders, aerosol, liquids, gases or vapors can enter the eye during daily activities at work or home and if not treated can affect vision. A foreign object in the eye: The eye is exposed to foreign bodies at the work place or outdoors. Sharp particles such as dust, wood or metal chips, splinters, or fragments of a tool can enter the eye and cause an eye emergency. Cuts and scratches: Rubbing the eye when a foreign body is present, getting poked in the eye with a pointed object results in cuts or scratches and bleeding thereafter. Trauma: Blood vessels in your eye may also burst due to vomiting, sneezing, or rubbing your eyes causing a dark patch. A sudden accident, sports-related eye injury can lead to bleeding under the skin which causes a black eye effect and demands immediate care to save the cornea from damage. You can hold the persons face under a tap or shower, if both the eyes are affected. Allow the running water to rinse the affected eye for 15-20 minutes. If the person is wearing contact lenses which do not get flushed out, try removing them after rinsing the chemical out from the eye. Do not attempt to remove the object or press the eye. Clean your hands with water and soap. Bandage both eyes to prevent any kind of movement of the eyelids. If the foreign object is large, tape a clean paper cup on the eye to prevent any pressure from the bandage. Visit emergency eye care without any delay. In case of bleeding, wipe it with a clean and soft cloth without applying pressure. Apply a cold compress to control bleeding and avoid swelling. If bleeding continues, cover the eye with a cloth and rush to nearest eye care facility. reduce pain and further swelling or blackening of the eye. Emergency consultation is necessary thereafter. Although it may be a reflex, you should not under any circumstances force to open an eye, or rub your eyes with your hands. This would scratch the cornea. In the case of a foreign body, even visible, the use of tweezers to try to remove it is prohibited. When to Contact an Eye Surgeon? there is a trauma such as a blow or shock with a small object, even in the absence of disturbing symptoms. The watchword is caution, it is better to consult an emergency eye care specialist and find that there is no anomaly rather than missing a serious problem. If you are in Fresno, you can just search for ‘emergency eye care near me’ and contact an ophthalmologist in Fresno without much hassle. sleep again can result in a twitching eye. making your eye twitch at times. People, who wear contact lenses and take medication are more prone to dry eyesyndrome. 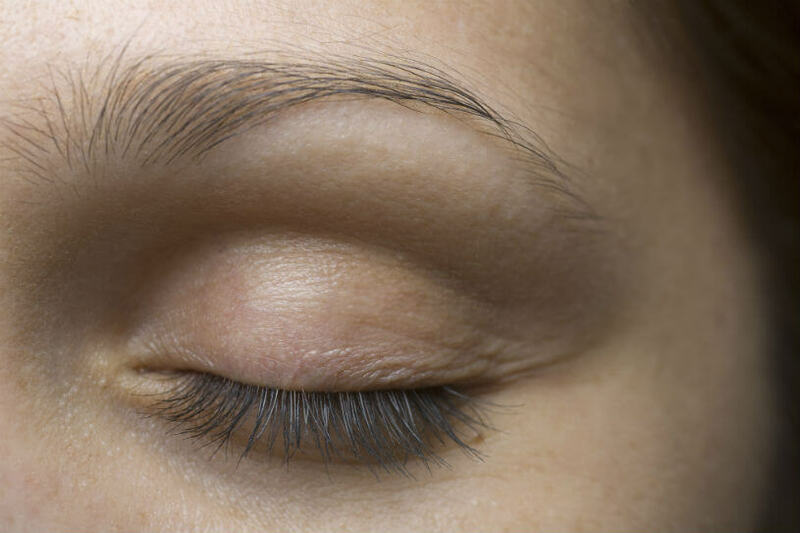 Dry eyes often result in eye twitching. check up done, especially for those of you who wear glasses. watery eyes and all of those can make your eye twitch at times. There is a possibility of getting an eye twitch due to lack of magnesium in your diet. When is it Time to Consult a Doctor? trusted eye doctor in Fresno, call us on 559-449-5050. Regarded as one of the safest and most commonly performed procedures, the cataract surgery lasts 10-20 minutes on average, under topical anesthesia, and allows an intraocular lens (IOL) to be inserted instead of the opaque lens, leading to a total recovery of your visual ability. Most patients return to normal life as early as the next day, but of course it is necessary to take some precautions to prevent potential cataract surgery complications. What to Expect After Your Cataract Surgery? In order to fully appreciate the benefit of cataract surgery, it is often necessary to wait for your eyes and brain to adjust to your new lenses which may require one or two weeks. Secondary cataracts are rare but may develop after weeks or years after surgery. For best cataract surgery recovery, it is best to use a new pair of lenses or glasses. What is the Cataract Surgery Recovery Time? The healing or recovery time differs among individuals, wherein some may experience quick healing while others may heal a bit slower. While the typical cataract surgery recovery time is about one month, you will be able to see images with the sharpest of focus within a week or two of surgery, provided you follow all the post-surgery precautions. Even though your vision feels correct, you may still be on the road to recovery. The first follow-up visit is should be made the day after yourthe cataract surgery, with other subsequent visits for a complete monitoring of the healing path. In the days following the cataract surgery, report any symptoms that may seem abnormal to your ophthalmologist in Fresno if you are in the area. If you are looking for a trusted eye doctor in Frenso, give us a call at 559-449-5050 to book an appointment. Our fast-paced life calls for a little bit of exercise to improve our health. Hours of full-body workouts at the gym often make us neglect our eye health and the prolonged use of digital displays could be doing more damage to our eyes than we imagine. Today, Yoga is being practiced by people the world over and an exercise that was once practiced by a few is now gravitating towards becoming a fitness mantra. Regular practice of yoga helps in maintaining good health and improves the functioning of the organs. But did you know Yoga poses include exercises for your eyes as well? These are exercises that you could do right at your desk without having to move around and only requires a few minutes from your busy routine. eyes while breathing in a rhythmic pattern will restore balance in your eye muscles. will improve your eye’s flexibility and control the physical movements of your eyes. eye muscles strong and active. enough when we’re focused on digital screens. your mind, provide you comfort from dry eyes and lesser the chances of eye diseases. Furthermore, paying a yearly visit to an Ophthalmologist will help you to discover and improve your eye conditions. If you are looking for a trusted eye doctor in Fresno, book an appointment with Insight Vision today. Getting a LASIK surgery can be an exciting prospect. After all, you won’t have to deal with spectacles or contact lenses anymore! However, as exciting as it is getting under the laser, you must avoid some commonly made mistakes since one tiny slip can cost you your vision. In this article, we will look at some common pitfalls that you must avoid to get the perfect vision with absolutely no side-effects after the surgery. Any reputed ophthalmologist in Fresno would suggest you to look out for the following 5 mistakes. They are using older technology which can lead to complications during surgery. They charge extra for medications, enhancements and post-op care. They have limited diagnostic equipment to conduct LASIK surgery exam to determine if you are indeed a good candidate for the surgery or not. Doctors claiming that they have successfully treated hundreds of thousands of patients using LASIK procedure should have solid proof to back it up. Look for a surgeon who is willing to provide you documented results and takes no offense when you ask for them. Keeping a detailed record of the results would be a great service not only to the surgeon but also his patients. Quality over quantity — you must have heard this phrase many times. The same can be applied for LASIK eye surgery as well. Just because a center has performed a large number of surgeries, it doesn’t necessarily imply that the surgeons perform a good quality job. Centers making these claims generally have numerous surgeons performing a limited number of procedures each. Ask your surgeon how many procedures they have performed — either on a daily or weekly basis. Even if the number is not as high as 100,000 (as some centers claim), check their success rate with the number of surgeries they have performed. The consultation should be an easy process but definitely not a quick one. A good consultation consists of various tests to determine whether you are a good candidate for the procedure or not. You should undergo a minimum of 12 diagnostic eye exams and be personally examined by the surgeon performing the procedure. In case you are subjected just 2 to 3 tests and declared a suitable candidate, it should be a sign to look for another surgeon. The ophthalmologist must take out the time required to carry every single test without rushing. At the same time, they should be able to answer every single question you have regarding the procedure. Ask the eye specialist what kind of equipment they would use for the procedure. Ensure they are offering only the advanced technology to conduct the surgery. There are numerous centers which follow the ‘one-size-fits-all’ approach which could be disastrous for you. The doctors must invest in different lasers which can allow them to customize treatments based on individual patient cases and offer them the best possible result. Look for those offering a blade-free treatment using only FDA approved equipment. We, at Insight Vision Center, understand that while getting a LASIK operation is exciting, it can also be slightly nerve-wracking. We assure that we can answer any questions you have regarding the procedure and we will make our best effort to put you at ease. If you need to contact a reputed and experienced LASIK surgeon in Fresno, call us today and make an appointment. Excited about finally ditching your glasses and contact lenses to get LASIK surgery? However, before you enjoy the benefits of LASIK treatment, you must undergo a series of eye exams to ensure that you are a good candidate for LASIK eye surgery. These tests will examine the health of your eyes along with their vision. Before performing the LASIK surgery exam, the doctor will use eye drops to dilate your eyes as it allows him to examine them more carefully. The drops may cause blurry vision for about 4-6 hours and it is suggested that you don’t wear your contact lenses in the weeks before the tests to ensure that the eye specialist gets correct examination results before performing LASIK. The shape of the cornea will be studied, along with its inside and outside surfaces. A device known as a corneal topographer is used to measure the eye’s curvature and create a map of the eye before the LASIK surgery. This helps in determining the specifications for the surgery. The overall thickness of the corneal walls is checked to determine corneal strength before LASIK and also look for corneal diseases or abnormalities. A thin cornea can cause problems and thus make you non-eligible for LASIK. Intraocular pressure examination is done to rule out the chances of glaucoma in your eyes. Glaucoma is an eye-condition that is caused by an increased pressure in the eyes and it could possibly damage the vision and the optic nerve. This usually occurs when the fluid in the eye cannot drain properly, therefore, putting pressure on the optic nerve as a result. You must be examined for glaucoma before undergoing LASIK eye surgery as symptoms can often go undetected in its early stages. Tear production is absolutely crucial to the cornea as tears keep the eyes moist, help in healing wounds and prevent infections. As a pre-operative LASIK test, the eye specialist would scan for the quantity and quality of tears to determine if you are at an increased risk of dryness in your eyes post surgery. If the tear production is satisfactory, he/she would go ahead with the surgery. One of the critical pre-operative LASIK tests is conducted by measuring the pupil size of the patient. Those with larger pupils could possibly be at risk of side effects like glare or halos post their LASIK eye surgery. It is important to accurately measure the degree of your prescription. The doctors will examine you for short-sightedness, long-sightedness and astigmatism and the extent of it. To be eligible for the LASIK procedure, you must have a refractive error that has been stable for over a year. The spectacles prescriptions will be confirmed multiple times during the tests and the whole LASIK treatment. Our eyes work as a camera which allows us to see great quality images. The LASIK surgeon in Fresno will scan your eyes to determine the quality of the image that your eye can produce after it is fully corrected with the glasses. The ‘aberrations’ will be measured and it would be assured that the eye is properly focused and capable of producing good images. This isn’t a test, however, it is a crucial part to understand a patient’s medical history. You must inform the doctor of any pre-existing medical conditions that may be a possible threat to your vision after your LASIK operation. The doctor will discuss your lifestyle changes, the medication and prescriptions required post-surgery. You as a patient need to pass these tests to be a good candidate for a LASIK surgery. You can consult an ophthalmologist in Fresno to get these tests done. Contact us at Insight Vision Center and we will help you clear any queries you may have regarding these tests. LASIK Vs Corrective Eyewear: Which Option is More Cost-Effective? The cost of glasses includes the cost of your prescription plus the cost of frames and those wearing prescription glasses usually see a change in power every 2-3 years, which means either you’ll have to get your existing frames altered to match the new prescription or buy new glasses altogether. Either way, it means recurring costs. On an average, a person will buy a new pair of glasses every two years if not every other year. This is because glasses aren’t as durable as perceived. You might be required to replace your glasses due to misalignment within the frame, damage or simply because you misplaced them! While eye glasses cost about $200 on an average, the designer ones are even more highly priced. So, if you were to go by the estimate that an adult replaces his/her glasses, that cost say $200 every 2-3 years, over a lifetime this cost can range anywhere between $2000-$6000. When estimating the cost of contact lenses, not only do you have to consider the cost of a particular type of lens, but you also have to factor in the type of lens used (single use contacts or multiple use contacts) as well as the cost of the lens solution required along with that. While a conservative average of contacts per year can be estimated at about $240, this can largely vary on the need to wear the contact lenses as well as the material used. The daily disposable lenses cost about $20-$30 per box making the yearly average about $450-$650, whereas the long-wear silicon hydrogel contacts cost about $250 -$300 annually. On an average, the LASIK eye surgery cost can range anywhere between $1,000 to $4,000 per eye. This figure includes the pre-surgery consultations and post-surgery care. On average, it is estimated that you will spend $3,900 to $4,500 on LASIK in total for both of your eyes. Now, at first glance LASIK may seem like a lot of money, but if you factor in the average cost of contacts or eye glasses, you will see that those costs may actually be higher than what you would be required to spend to undergo LASIK for your eyes. 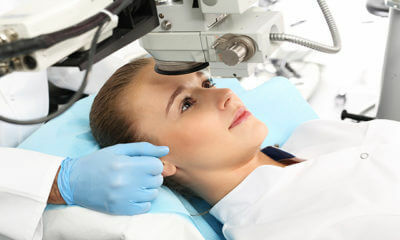 What you must remember when speaking with different LASIK providers about their fees is that the costing of the LASIK procedure may differ from one provider to another depending on the type of pre-operative tests performed as well as the equipment used to perform such tests and the surgery. So, be sure to carefully analyze the prices and check for the type of tests they will be performing to ascertain the right plan of action for the best possible outcome! Pro Tip – Since the upfront LASIK eye surgery cost is high, many eye clinics also provide very lucrative financing options to help make the procedure more affordable. So, be sure to ask about the available financing options before making your decision! For more information on LASIK eye surgeries in the Fresno area, contact Insight Vision Centre and book a consultation right away!